We are thrilled to announce that our Chief Executive Officer, James Dwiggins, was named industry ‘Futurist’ in RISMedia’s 2019 Class of Real Estate Newsmakers, a notable recognition highlighting a dynamic group of key influencers making headlines as a result of their newsworthy contributions to the real estate industry, and their efforts to positively affect the consumers and communities they serve. RISMedia, the leader in U.S. real estate news and information services, announced the 2019 Class of more than 230 Real Estate Newsmakers on Dec. 3 in both an online directory on RISMedia.com and in the December issue of its flagship publication, Real Estate magazine. 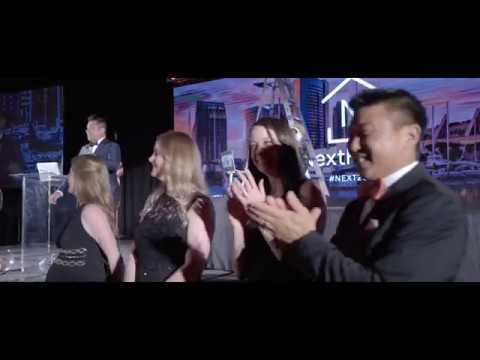 With an aim to be a revolutionary franchise in real estate, NextHome has presented high-tech capabilities and innovative approaches that help agents and brokers harmonize the modern real estate landscape with the needs and demands of today’s buyers and sellers. Dwiggins introduces a forward-focused vision to NextHome, bringing inventiveness to the industry through groundbreaking technologies and synergetic strategies to support NextHome franchises nationwide. The industry luminaries included in RISMedia Real Estate Newsmakers of 2019 are selected by the publication’s editors through a vetting process that helps identify individuals who headline in the topics of industry advancements, technology achievements, diversity and inclusion, humanitarian efforts, creativity and innovativeness, industry activism, and many others. The nominee categories include Influencers, Trailblazers, Futurists, Achievers, Crusaders, Inspirations, Luminaries, and Trendsetters. In less than four years, Dwiggins has led NextHome to grow to over 320 offices in 43 states. His modern real estate franchise model is committed to ensuring every member has the marketing and technology resources necessary for continued and professional growth, as well as maintaining relevancy in the future.